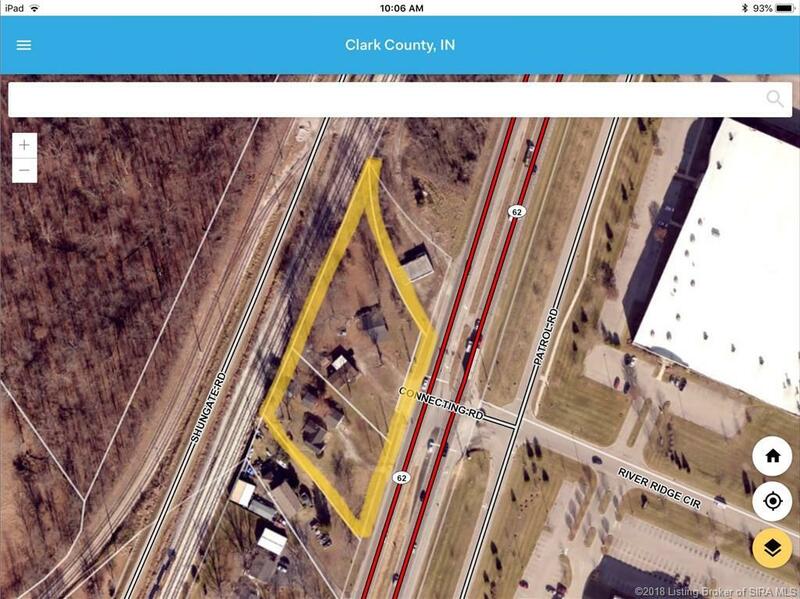 Up to 2 acres available at a prime, signalized location strategically situated between 1-265 and the first entrance into the ever expanding River Ridge Commerce Center. River Ridge is a 6,000 acre manufacturing and business park that includes health sciences. office, manufacturing / distribution, logistics and automotive companies. There is additional land and frontage as the neighboring property is also available. Infrastructure is in place for subject property. It is the last available location before arriving to River Ridge traveling from | 265.This C-2 opportunity is located near the new Louisville MSA east end bridge and 1 block down from two new strip centers, restaurants, gas stations and rooftops. A new super Kroger strip has just opened within 1 mile of subject property. The property is being offered for sale or lease. Structures on property are of little to no value. Listing courtesy of Kenneth Capps at Real Estate Unlimited.